Oh...and by the way, he's also written an episode of Dr. Who for 2011! That should really rock!! My dear friend and author Kevin Whelan gave me a copy of this small article on what to tell someone who hates to read. I've found it very useful over time... have had it posted in the children's section for family and friends to peruse, past it on to teachers, and even shown it to some of my young readers who've come in saying 'my teacher says I have to read something...' I've come to understand that really, nobody hates to read. They just haven't found the book that fires their imagination and enthusiasm for reading....it's only a matter of time. With Kevin's kind permission, I thought I'd pass this wonderful essay on to you, now, dear friends. Enjoy. When I was a child [not a ‘kid’: as my nephew Ciaran Whelan always reminds me, “A kid is a goat”] a book was a fantastic thing to hold in one’s hands; turning the cover for the first time was like opening a secret door and stepping through into…what? And where? Somehow I knew that I could leave my life and its Sunday night school worries and other various minor troubles behind: for a few minutes or hours, I could engage in a form of nothing less than time travel. I mean how cool was that? It was always really exciting to turn the pages and see where the author took me. It was as though they had gently taken my hand: I was going to have to trust them as much as they were going to trust me. I knew unpredictable and downright crazy things were going to happen. Better than that: I would meet real heroes and real villains and have adventures, real adventures, and feel happy and scared, and all sorts of other emotions. A good book was even a kind of food substitute; it fed my imagination and my heart. Good books still do. Which is a pretty incredible deal when you think about it. And they’re additive and calorie free. Organic too, I wouldn’t bet. and thousands of them—thank God. Sometimes you have to be ‘ready’ for a book, the way you need to be ‘ready’ when certain people come into your life—the good and the bad—and have the intelligence to recognise which is which: The ‘boring’ or ‘difficult’ book might one day turn out to be the ‘exciting’ and ‘easy’ book. The same of course applies to people. And if you don’t understand what I mean now then you might, one day—though I also accept that some books and some people are both ‘boring’ and ‘difficult’—and bad too. But you can’t have everything. Neil Gaiman has made a (what I believe to be stellar) statement this defines perfectly the problem with today's literary vampires. "It used to be the case that bloodthirsty vampires and fanged creatures of the night were the stuff of nightmares and terrifying children's fairytales. Not any more, according to the bestselling writer, Neil Gaiman. They're all a little toothless these days, he says, and nothing like the true-blue bloodsuckers of old. Vampires are now over-populating popular culture to the point where they are just not scary, Mr Gaiman said as he picked up the CILIP Carnegie medal for his gothic children's story The Graveyard Book, about an orphan raised by ghosts." For the rest of his thoughts, check out the link below. Absolutely brilliant! I say, bring back the old-fashioned vampire. Anyone with me? The winners of the 2010 CILIP Carnegie and Kate Greenaway Medals have been announced today. 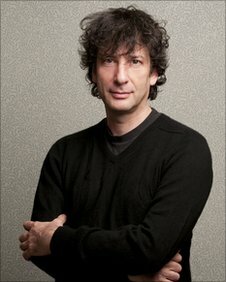 Neil Gaiman has accepted the prestigious CILIP Carnegie for his brilliant novel, 'The Graveyard Book'. For those who haven't read it, this is the story of Nobody Owens, or Bod. Bod is adopted by the resident deceased of a graveyard. They raise him from the tender age of two years, after the murder of his parents and sister. 'The Graveyard Book' is gripping, tender and moving. The development of characters and the plotline are exceptional. A thoroughly deserving winner! The equally prestigious Kate Greenaway Medal for Illustration has gone to Freya Blackwood for her genuine and original illustrations in 'Harry and Hopper' (story by Margaret Wild.) The illustrations convey the touching story of a young boy coming to terms with the sudden death of his beloved dog and best friend, Hopper, with a genuine human quality to which we can all relate. Timeless! It was bound to happen...... according to all sources, Stephenie Meyers has announced that she has become 'too burnt out on vampires' to continue writing the Twilight companion book, 'Midnight Sun', which tells the Twilight story from Edward's perspective. After writing '....Bree Tanner' as a spinoff novella when she was only asked to write a short story, the whole story line was becoming stale for her. But don't fear, all you Twilight fans, she's simply leaving the story aside for a while until her enthusiasm for the subject returns. So, I'm sure it won't be long at all before Bella, Edward and the gang make a reappearance. Attached is a link giving you all the information you need. The word is out and artwork has been decided. Bloomsbury will be rejacketing all seven of their most popular 'Harry Potter' books for 'a new generation' of HP readers. Aimed at new readers who haven't grown up with the books, the new jackets feature the 'Harry Potter' in gold script text and the artwork of illustrator Clare Melinsky. The jackets were unveiled in March 2010 and will go on sale 1st November 2010. All the artwork was personally approved by JK Rowling herself. Melinsky utilises lino-cuts in colour and black-and-white to follow a tradional woodcut style. Her illustrations have appeared in advertising, labelling and packaging, as well as in editorial work for newspapers, books and magazines. 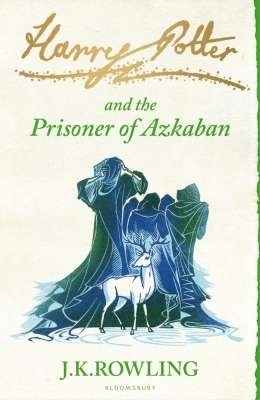 So those of you who are collecting the familiar, older style covers of the Harry Potter series, be sure you finish your collection before 1st November! After that, they'll disappear from bookshelves faster than you can say 'Expelliarmus'. 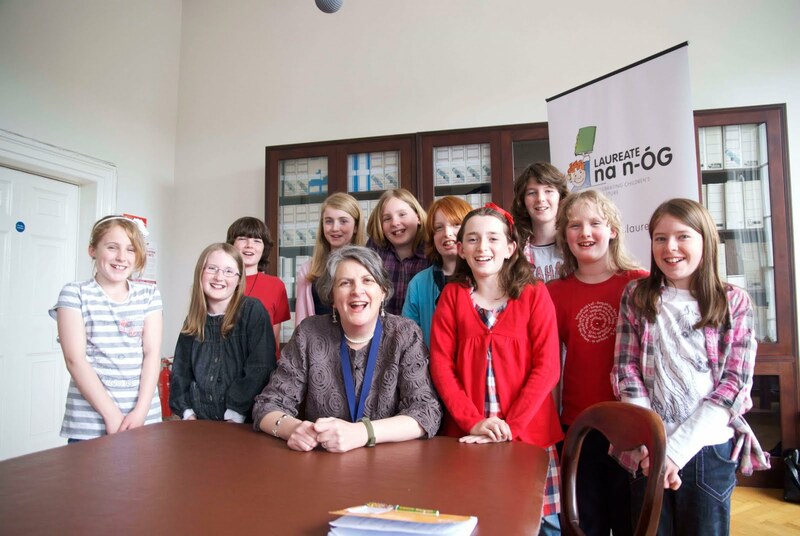 (Sent to me from the CBI Newsletter) Ireland's first Laureate na nOg, Siobhan Parkinson has issued a further statement on the crisis in school library funding following the announcement from Minister of Education and Skills, Mary Coughlan has announced that school librarians in disadavantaged schools will be retained. I think we are all breathing a sigh of relief that these all important posts are maintained. “I am delighted that librarians running libraries in second-level schools in the most deprived areas of the country will, after all, thanks to the intervention of the Minister for Education, have their contracts renewed. This is not about individuals and their jobs, but about our children and their future, and about Ireland achieving the literacy standards it so desperately needs in order to participate in the knowledge economy. These JCSP libraries, as they are called, are a precious resource for the future of our nation. If we could now revisit the primary school library service with the same can-do, creative energy, we would be well on our way to creating a literate and culturally aware population for the future of our economy and our democracy. The decision to retain specialist librarians in the JCSP schools is so enlightened, that it gives me hope for the primary system also. Books for primary school libraries used to be funded by a grant to public libraries. These funds from government were in effect matched by the public libraries in terms of staffing and expertise, and this system represented an excellent use of public funds to acquire thoughtfully chosen books for our primary schools. Today, funding for school library books is included in the capitation grant, which means that school libraries have to compete with other demands on the school budget. I sincerely hope that this decision regarding the JCSP librarians will pave the way for increased resources for school libraries everywhere." Siobhán Parkinson, Laureate na nÓg "
Applause to Siobhan Parkinson and to CBI for championing the cause and generating a high profile That allowed for this to be handled so effectively and efficiently. This article comes from Publisher's Weekly (in America). Very interesting plea for the promotion of picture books by independent booksellers. Ken Geist (VP and editorial director of Orchard Books and Cartwheel Books...and author of the picture book 'The Three Little Fish') made this empassioned plea at the New England Children’s Booksellers Advisory Council, held at The Eric Carle Museum of Picture Book Art in Amherst, Mass. Admitting that pictures books are not truly 'endangered', there is clear evidence, as we know, that the demand for picture books is in decline, making their production very problematic for publishers. One of the biggest difficulties seems to be that many customers don't understand what picture books are (!) and when they do, they still want more text. Geist has made some great suggestions for a grassroots movement for the promotion of picture books as a genre, such as making next year the 'Year of the Picture Book' or creating instore mailboxes for children to write to their favourite picture book authors. While this was presented to the conference in the US and dealt, therefore, with some very specific issues to that market, I think we obviously have understanding in the Irish/UK market of this very same problem. Perhaps, we, too, should get behind the picture book in a very active and supportive way! The 'Puffin of Puffins' has been named!!!! The votes have all been counted at it was just revealed that the title of 'Puffin of Puffins' has gone to...... 'Artemis Fowl' by Eoin Colfer. Colfer's story about a 12 year-old criminal mastermind beat out such familiar favourites as 'Charlie and the Chocolate Factory' and 'Charlotte's Web' to become the most popular Puffin chldren's classic of all time. The Artemis Fowl books have sold over 8 million copies in the English language and 20 million worldwide. Colfer stated that this was his "proudest professional moment. ""To be chosen by Puffin as a modern classic is a huge honour, as it would be for any writer. 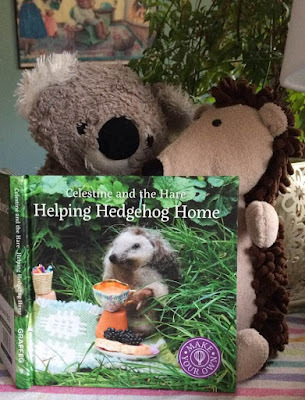 For Artemis to be in a collection with Stig and Charlie is a huge thrill, but to win a public vote as well: it's like two birthdays in one go," he added. Congratulations to both Eoin Colfer and 'Artemis Fowl'! School Libraries Threat Is Receding! The threat to school libraries in disadvantaged areas has receded when it was announced that the funding would be renewed. Thanks to the efforts of CBI and other concerned groups, it looks like we're making ground on this. I would encourage everyone to contact their local schools and see what you can do personally, wheteher it's contacting your local TD on this very important issue for our children, donating books, time, energy.... holding bake sales and carboot sales to generate procedes for the school library. Our children need this effort, always. Festival season in Galway (nearly a year-round season, incidently) is well and truly under way. The Galway Arts Festival will run from 12th through to the 25th of July, and there are some stellar family events. One Small Step offers an inovative exploration of the space race as 2 gifted actors take us on a rollicking journey through the space race, from the first dog rocketed into space to the moon landing and beyond. In Space Panorama, Andrew Dawson recreates the Apollo 11 mission using only his hands (?!) and narration. The Magnificent Mind of Daisy Dunne offers us Daisy who, with each birthday, demonstrates her devotion to finding the answers to the world's most puzzling questions. And then there are the street events...The Wild Hunt is the Macnas Parade offering this year and promises to be incredible! Up Above turns the circus tradition on it's head. And what can you say about Bruce Airhead? One man, one enormous balloon, one bizarrely amazing show! There is on;y one day left to vote for your favourite 'Puffin of Puffins'. Just click on the link below and register your vote now. The winner will be declared on Thursday, 17th June. So far 'Artemis Fowl' is still ahead of the pack by miles with 57% of the votes. Not only testament to the incredible story and characters created by Eoin Colfer, but also to the voice of young readers! Which book do you think deserves to be the 'Puffins of Puffins'? 'The Spook's Apprentice' for free!!! And before I forget, to celebrate the release of 'The Spook's Nightmare', the latest book in the chilling series by Joseph Delaney, the first book is available for free online. The first installment is available until 25th of June, then you can back for the second installment...if you have the nerve! Check out the link below to read 'The Spook's Apprentice' and to enter the 2010 Spook's competition. I was working away, minding my own business when the following journal (for lack of a better term) appeared on the shelves. 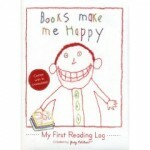 'Books Make Me Happy: my first reading log' by Judy Pelikan (Workman Publishing, January 2010, 9780761155973) is a real little gem to assist children in developing a considered and lifelong enthusiasm for books and reading. This journal begins with the typical pages devoted to the essentials....book title, author, illustrator, 'my favourite part of this book was...' and the goes on to include entry spaces such as 'I will recommend this book to a friend because...' and a space for drawings inspired by each particular book. Also included are a number of book plate stickers for children to colour or create their own imagery for their personal books. From here, they are then encouraged to continue journalling, having been given a format that allows for, not simply recording, but self-expression. 'Books Make Me Happy' serves as I great starting point for children to develop their abilities, confidence and individual style when it comes to critique, analysis and appreciation of books. This is a really nice article on recommending books (especially to children) in which the author praises the efforts of children's booksellers and librarians. Included is a wonderful memory from her youth, which I think many of us may find familiar. I know it accounts for at least a part of my desire to be a children's bookseller. There's more, so please check out the rest of the article. Just a quick reminder to vote for your favourite Puffin classic book for the 'Puffin of Puffins'. There is one Puffin classic from each decade, with such greats as 'Charlotte's Web', 'Charlie and the Chocolate Factory', Goodnight Mister Tom'; and a personal favourite 'Stig of the Dump'. 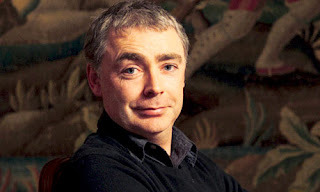 The vote so far has 'Artemis Fowl' by Eoin Colfer taking 62% of the votes so far. Well ahead of the pack! I really should mention this fantastic site for children and their parents, particularly with summer holidays coming on. Loaded with events, happenings and children's book reviews (both by adults and children), My Kids Time is a valuable resource. When Stephenie Meyer's latest offering, 'The Short Second Life of Bree Tanner' went on sale at 5.05 am 5th June, it quickly became one of the fastest selling books of all time, selling 89,549 print copies in just 19 hours. This is a real boost to the industry, of course. Then yesterday, 7th of June, it was offered up as a free download as a 'thank you' to all her loyal fans. A lot of activity surrounding vampires, yet again. Here's an review of the book from Imogen Russell Williams in The Guardian on Saturday. While Meyer had promised '...Bree Tanner' to be gritty and hard-core vampire fiction, it falls in this respect. On Monday, June 7, about 250 school children from Galway City and County gathered at the Radisson Hotel to receive awards for writng and illustrating their own books. It was a lively gathering to say the least, and really fantastic to see so much excitement and energy from the children and their surrounding communities/schools being put toward the encouragement of these budding young author/illustrators. And all in Irish! I was very pleased to attend with my grandson, Reese to watch another grandson, Ali receive his award. Absolutely brilliant!!! I've heard this from several sources now (including David Maybury's brilliant blog); but for those for those of you that haven't... the word is that Diane Wynne Jones has decided to stop her chemotherapy for cancer as it was making her too ill. Her doctors now believe she has months to live. If her books have meant as much toyou as they have to me, now would be the time to send her a email letting her know. The official website address below gives the email address to send them to, and then they are printed out and passed along to Diane. As Puffin continues to celebrate it's 70th birthday, why not take some time to consider which of their Puffin Modern classics (just now relaunched!) deserves the title "Puffin of Puffins". Each one of these 7 Puffin Modern Classics was chosen as the "Puffin of the Decade"...one from each decade since 1940. But what Puffin really wants to know is, which one is your favourite? Check out this link and see if you can decide.... Vote oline by 16th of June. The winner will be announced on the 17th. There's nuffin like a Puffin. The brilliant novel for teen girls just came in to the shop today and I have to say, I am absolutely delighted! Having read the proof copy, I was completely captivated by this book. Far more than just a light summer teen read, 'The Sky Is Everywhere' deals with bereavement, family and social issues and trying to find your own place in the world. When her wonderful, beautiful sister, Bailey, dies suddenly, Lennie suddenly finds herself, not only struggling with her grief, but also taking centre stage in her own life. The loss of her sister, the disappearance of her mother years before and finding her emotions torn between her sister's boyfirend (with whom she shares common ground) and the new boy in town, Joe (the only person she knows who has never had any contact with Bailey) demands Lennie finally decide who she wants to be. It was an absolutely brilliant read, and while I have to say, not at all the type of book I'd normally be drawn to, I can't recommend 'The Sky Is Everywhere' highly enough. I also need to add that the production quality of this book is exquisite! Another gem from our dear friends at Walker Books. I also want to add this excellent review from Orlaith Mannion, one of my brilliant young reviewers. Well done, Orlaith!!! Normal people do not mourn this way. They cry and wail... they do not write poems that no one will read, they do not put their feelings on paper and let them go into the wind and they certainly don't fall for their dead sister's boyfriend. Lennie's older sister Bailey dies and with her she takes all the fire and music and light from Lennie's world and leaving her alone in the centre of the stage without a clue as to what to do next. The only one she knows who is unaffected by Bailey's death is Joe, the gorgeous talented new boy. But Lennie is torn between two boys and the guilt of being happy so soon after Bailey's passing is tearing her apart.